Dr. Toso was raised in Sioux City, Iowa. 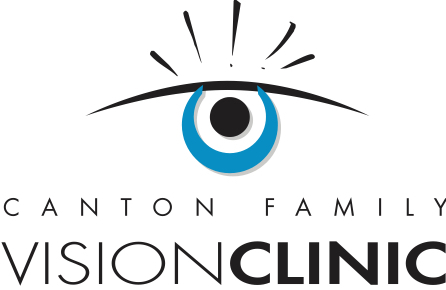 He graduated from Augustana College in Sioux Falls, and obtained his Doctor of Optometry degree from the Illinois College of Optometry in Chicago. 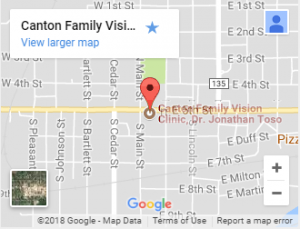 He has owned and operated Canton Family Vision Clinic since 2002. He and his wife, Mary, have four children. Dr. Toso is active in his profession keeping up to date on current technology and new health information through. 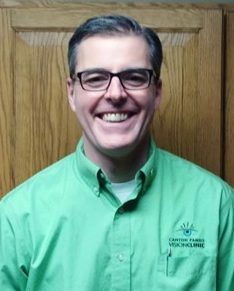 He has served on the Board of Directors for the South Dakota Optometric Society and is active in the local community. Dr. Toso has volunteered on several local boards, including the City Commission, former President of the Canton Chamber of Commerce, and is currently serving on the Canton Good Samaritan Advisory Board, Canton School Booster Club and is a member of Canton Rotary.